Welcome to 2009, we will be greeted by a cycle of recession. Exactly 10 years since the last world financial crisis. Sponsorship will be cut, budget for marketing will be majorly cut. Anything that concerns the expenditure department is likely to be given the red light. With no one spending, the economy will definitely see a slower return. In the line of marketing and branding, we already have problems encouraging clients to spend on a good day. And now, it could be even more challenging. The opportunist would think, "Now that most companies are cutting back, there will be less ads, less 'noise' and less competition for attention. It is the best time to strike and get hold of market attention!" but unfortunately, most CFO aren't too much of an opportunist. They have a P&L balance sheet to report to. 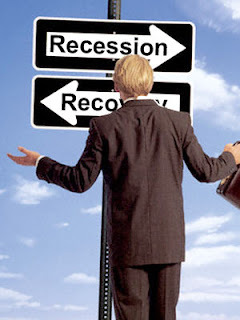 How to make the best use of the recession? INTERNET : The most effective medium to both consumers and marketeers during a time like this will be the Internet. Reason? As consumers spend more time indoors, cut their budgets on buying magazines, papers or movies, they are likely to spend more time wired. For marketeers, the Internet is the only platform capable of reaching to millions of people without burning a hole in the bank account. Of course, I am now assuming they have a wonderful campaign strategy. However, the Internet is a very different ballgame as it bypasses the traditional media and attempt to do a direct outreach to the people. Hence, fostering a relationship with the target audience is more important than trying to flood them with spam ads. But this could take some tactic, patience and time. It may not be likely for companies to demand an immediate ROI on the dollars and cents. And for the fact that the Internet is so wide and borderless, it also means more time has to be spent locating the target group accurately and effectively. Twitter - Twitter is a popular tool in the US but the trend did not really take off locally. It could however be marketed as a status tool to promote certain sales, movements or latest news. Alternatively, mobile marketing could be used for the following ideas, which however, will come with a different price tag. introduce an hourly sale that happens at different hours of the day. Send a twitter to inform all your customers about it. Create a sense of urgency to buy and a personal touch from merchant to consumer. In an effort to promote a new product (eg. latest mobile phone) Create an avatar to has a "life" of his/her own. Send updates about his/her life to fans, keep people in a conversation and arouse interest. Tie it in with an event at the end of the day. Facebook : No, this is not a new story. But I don't expect the trend to fall very soon. The continuous reinvention of facebook sees itself going strong for the next 2 or 3 more years. Bringing people together is an art. But facebook seems to have mastered it to call themselves the boss of social network. It is a wonderful tool in trying to gather people of the same interest, mindset or geographical locations. You can easily identify people without having to spend money on market research. (which I'm not saying that's not important). In trying to do so, you should either strike a chord, raise disagreements, create curiosity or make useful relationships. However, one should first understand not every business is suitable to tap on these platforms. You should approach a professional PR firm with digital arm or an IMC with digital marketing experiences for professional advise. A reasonable amount of time should still be spent on identifying market trends and results before attempting to utilize the medium. Ultimately, do remember it reaches out quickly to people. Which means, bad news travel fast too! In Korea earlier this year, a rumour about the beef from USA on the Internet nearly caused an up throw of the entire government when large-scale demonstrations (spurred online) fill the streets of Seoul. So just a gentle reminder. It is very tiring to try and vie for attention on the newspaper, TV, radio, outdoor advertising everyday. Millions of ads try to shout for more attention. People today are so immune to it, it basically just doesn't catches any eye anymore. However, in times of recession, advertising budgets will be cut for most companies. There will be less 'noise', less interruptions and we will see our streets cleaner with more "for rent" signs on outdoor advertising boards. THIS is the BEST time to advertise. Like every good trader will tell you, the best time to enter the market is when the market is down. With less business, rates for advertising space is likely to be adjusted to attract more advertisers. It will be easier to negotiate for better packages on media buys. You can have a better selection of prime spots, marketing firms are more commited to deliverables and are eager to impress. The BEST time to build your brand is when no one else is trying to build theirs. Create top-of-mind recall with ads, encourage spending with product sampling, demonstrations, sales and promotions, get in touch with the ground by organising events (something for people to see, do and look without spending money), sponsor community projects. And you will see your brand grow to be everywhere on the street (and in the mind). As the economy slowly revives and the market returns to normal, you can now rest your marketing dollar and enjoy fruits of success. Of course, a reasonable ROI should still be measured and strategies to meet sales targets while spending. But please do remember, branding and marketing is not a Harry Potter wizardry that happens overnight. The results may not be evident now, but positive reputation gained is priceless for any company. And the next time the consumer has the dollars in his pocket, he'll make you his first choice.